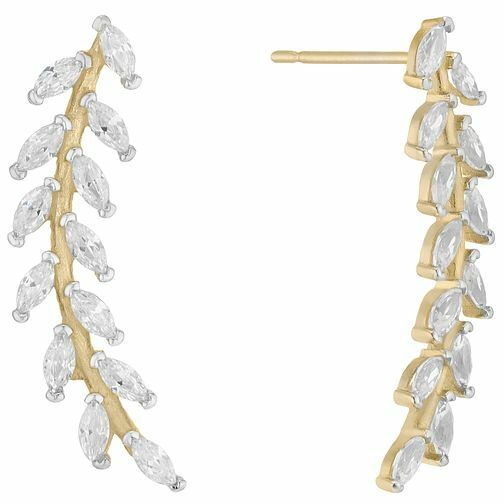 Crafted in 9ct yellow gold, these curved earrings are designed to climb up the shape of your ear. Featuring sparkling cubic zirconia in a floral design for an eye-catching finish. This season's on-trend look.